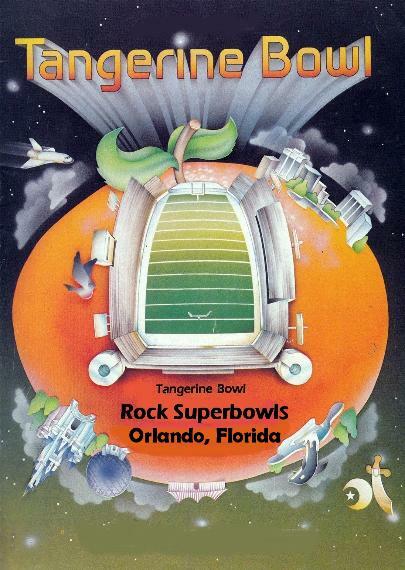 Over the loudspeakers comes an announcement that the college has secured two tickets to the upcoming Police concert at Orlando’s Tangerine Bowl in two months’ time. 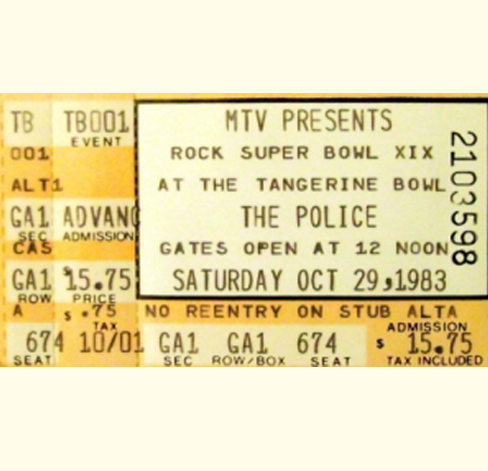 The Fixx, who were also starting go gain musical traction at the time, were installed as the opener. A classic early Eightie’s line up if there ever was one. We were instructed to reach under our seats where an envelope containing said tickets would be found. I instinctively reached under my seat, not expecting to find anything, but the plastic bottom of my chair, but lo and behold, I felt an envelope. And for some reason, fear took over. Fear that I’d have the envelope and that I’d be the center of attention for the entire cafeteria. That fear. So instead of conquering my fear, I gave into my fear and acted like nothing was happening. Rose from my chair, dropped off my lunch tray and exited the cafeteria. To leave those tickets to another, less fearful student. ← Are You Pointing At Me?